There are certain flavors that scream summer. Tequila-lime marinated fish is one of those flavors. 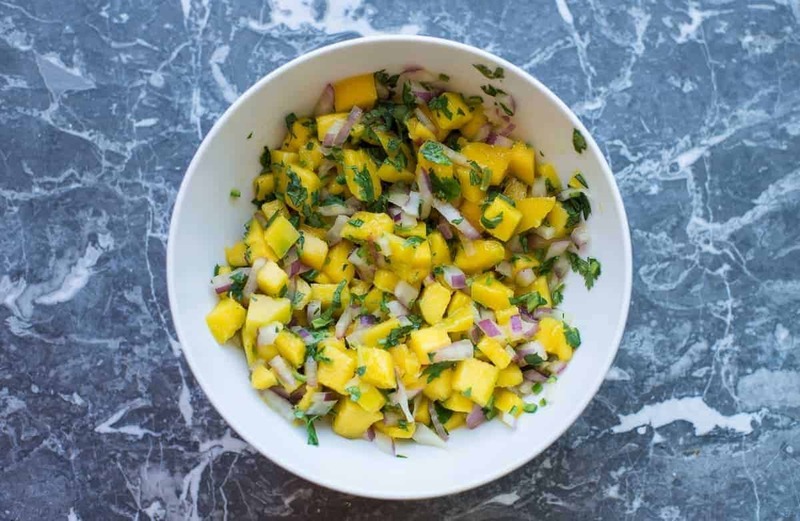 Sweet and spicy mango salsa is another one. 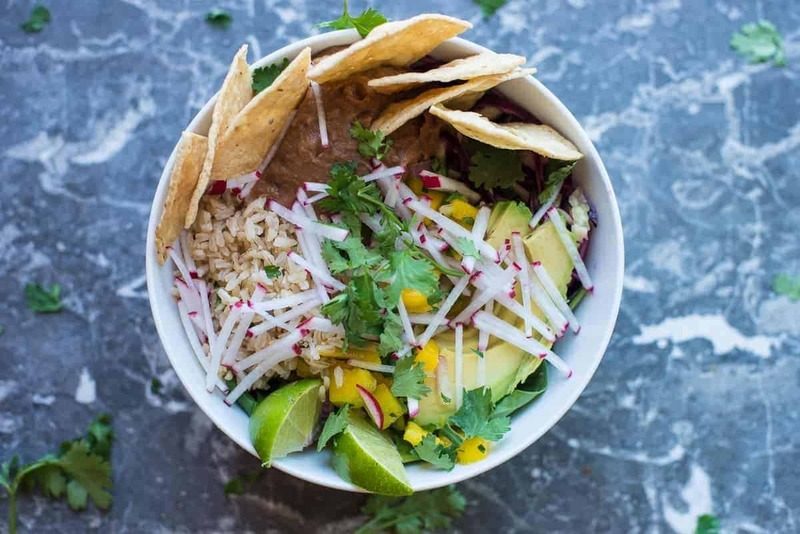 This Beast Bowl features both of those flavors and it’s a winning flavor combo. I’m not gonna lie. This Beast Bowl is heaven in your mouth. The fresh fish marinated in a tequila and lime juice. Hello!!! The mango salsa is the bomb! It’s just the right amount of fruity and spicy. Mexican cabbage slaw adds crunch and flavor to this amazing combination. All of these components are absolutely delicious in their own right. But when you put them together in a beast bowl it is food love ❤️ in a bowl. I also did a Vegan Version of this bowl. My daughter is home again and it’s time to get crackin’ with more vegan adaptions. Of course, I left out the fish and cream fraiche. But everything else worked in this vegan taco Beast Bowl. I added some brown rice and refried beans to replace the main protein. The magic of the beast bowl is that it’s so adaptable. Once you get in the habit of building these bowls you can just tweak it any way you like. 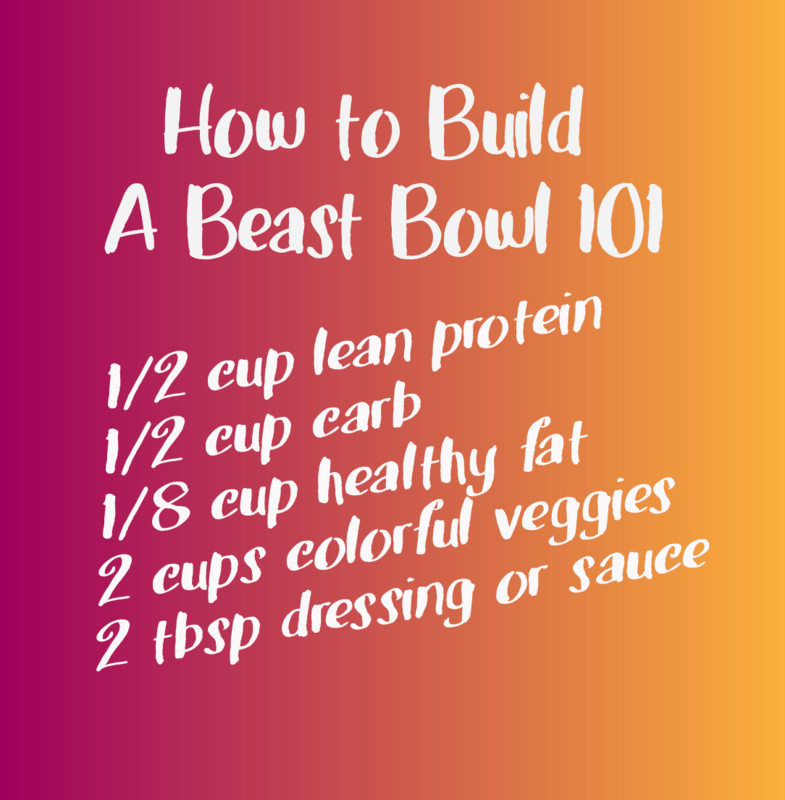 If you need a refresher on the beast bowl formula. Here it is. 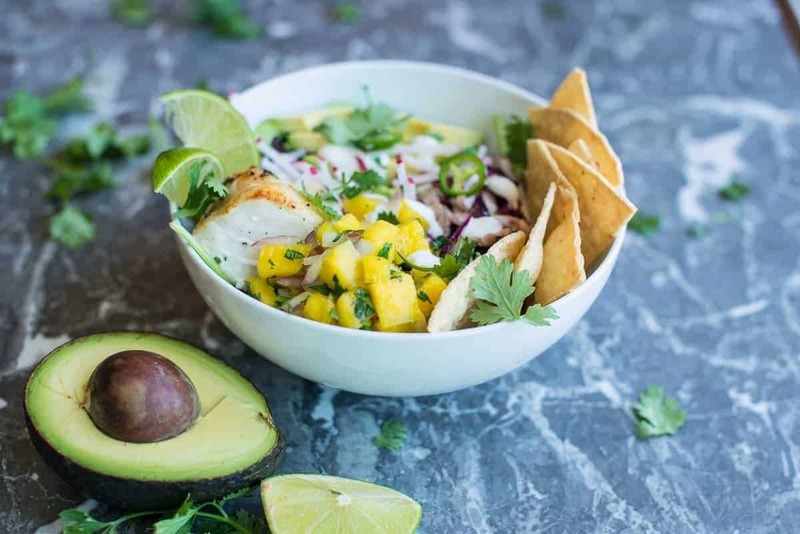 Tequila Lime Marinated Fish with Mango Salsa. This Beast Bowl is off-the-charts delicious! Add all the ingredients to a glass or plastic (non-reactive) dish. To Cook: Broil until the fish is slightly brown and firm to touch 8-10 minutes. Alternatively, grilling this fish is also an option. Add all ingredients to a medium glass or plastic (non-reactive) bowl. Toss and let set while everything else is prepared. Add greens and slaw to large individual.salad bowls. Add fish and the rest of your desired toppings. Finish with a drizzle of creme fraiche. Serve with extra lime wedges and tortilla chips. * Sour cream may be substituted for creme fraiche.